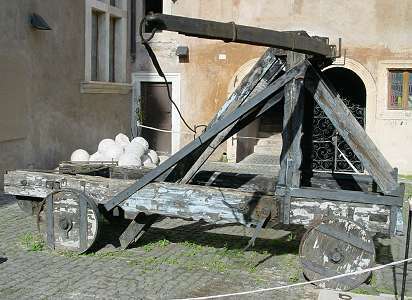 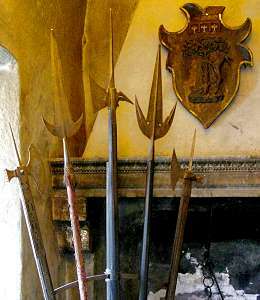 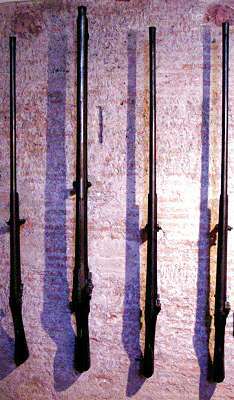 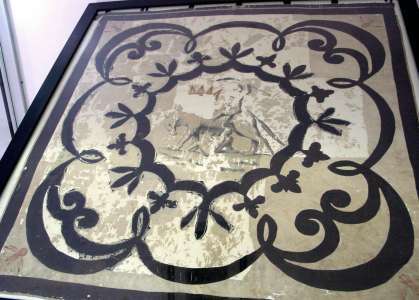 Standard of the Castel's Bombardieri, 18th century, 202 x 186 cm. 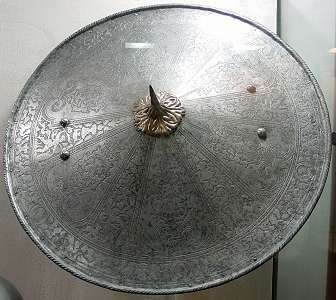 Excavated Pugnale, 15th century, 32 cm, 21 cm blade, traces of decoration. 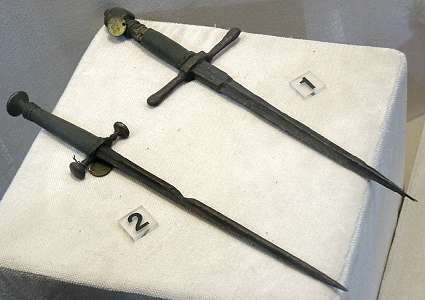 Excavated Stiletto, cruciform sectioned blade, 17th century, 31.5 cm, 21.5 cm blade. 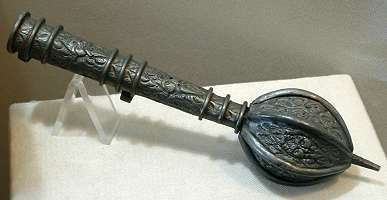 Excavated sword, octagonal pommel, partly fullered blade, 70 cm, blade 60 cm (tip rusted away), 15th century. 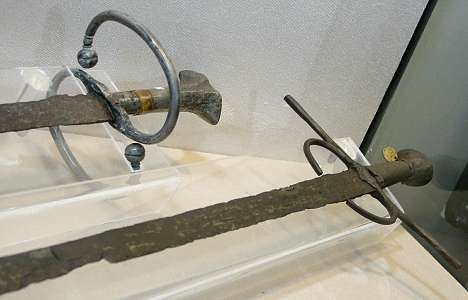 Excavated blade, hexagonal blade with broken tip, 74 cm, 62 cm blade, 16th century. 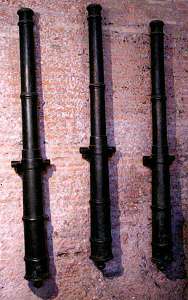 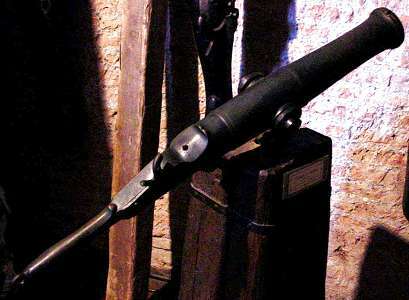 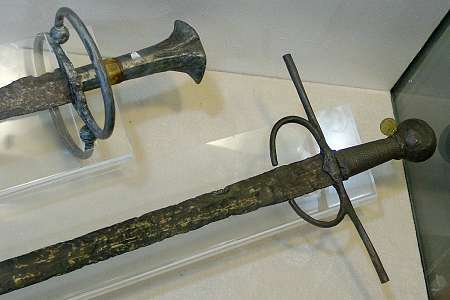 Excavated "lanzichenecco" sword, 16th century, 91 cm, 78 cm blade, restored horn grip. 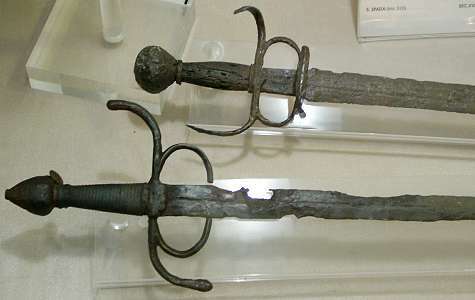 Excavated sword, 15th century, 106 cm, blade 86 cm. 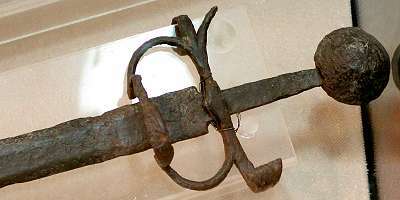 Sword with S-shaped cross excavated during 1900 restoration, 107 cm, 93 cm blade, 15th century. 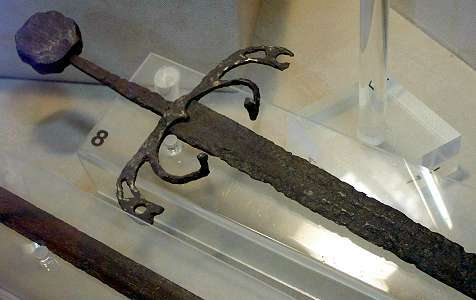 Sword excavated during 1930 restoration, 112 cm, 98 cm blade, 16th century. 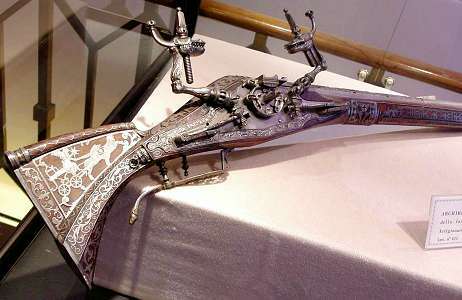 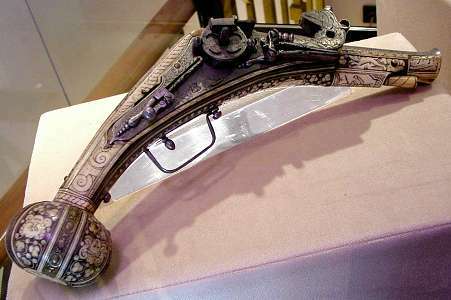 Combination sword and pistol, triangular blade hollowed to fit barrel (on hidden side), 107 cm, 91 cm blade, late 17th century. 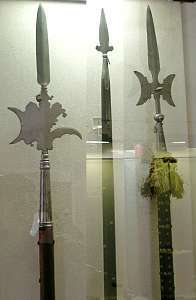 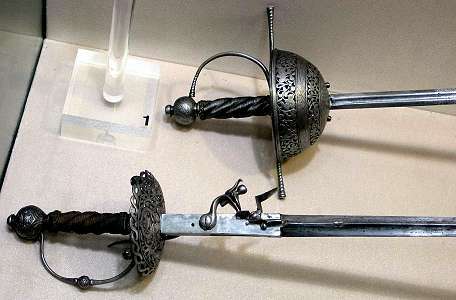 Sword with cup hilt and quadrangular blade with short fuller, 129 cm, 109 cm blade, mid-17th century. 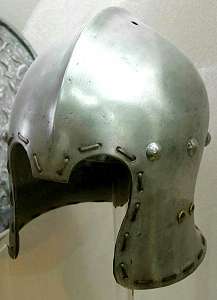 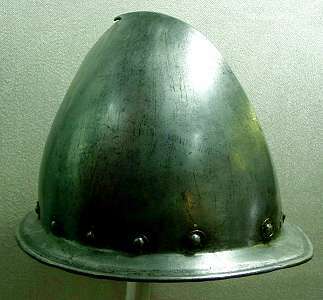 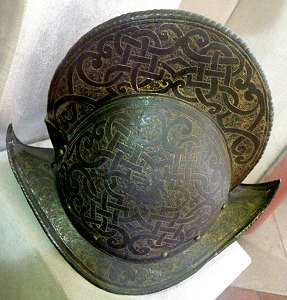 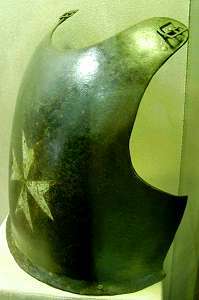 "Lanzichenecca" macehead, 16th century, 27.5 cm. 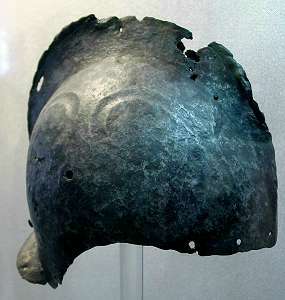 Excavated Elmo, 17th century, missing visor. 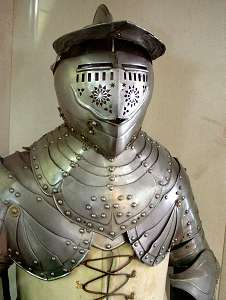 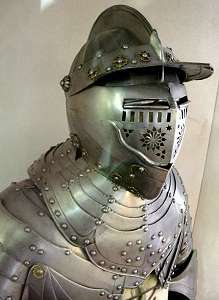 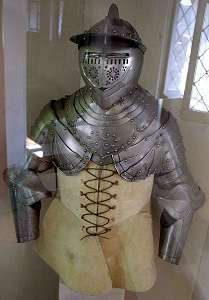 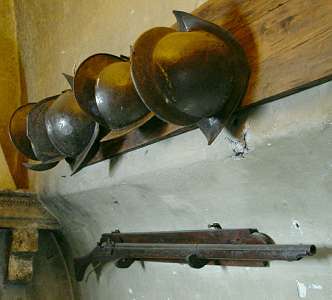 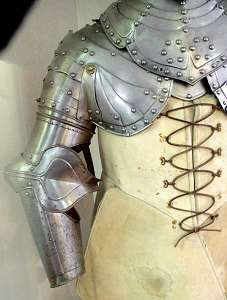 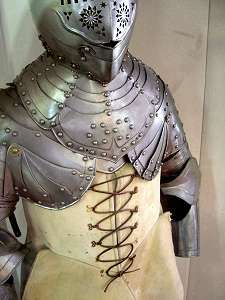 Parts of "carabino" armour with elaborate spaulders and gorgerin, 17th century. 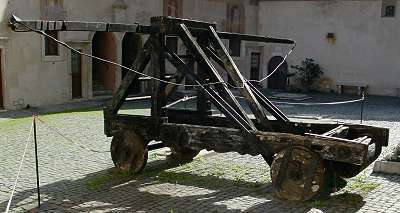 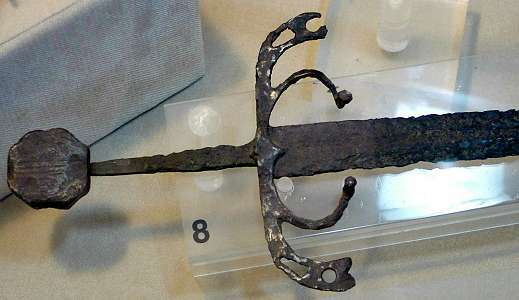 Petto, 16th century, browned steel, with proofmark (just left of the Malta cross). 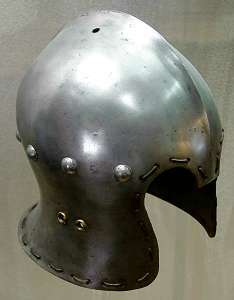 Etched Rotella, 16th century, 59cm. 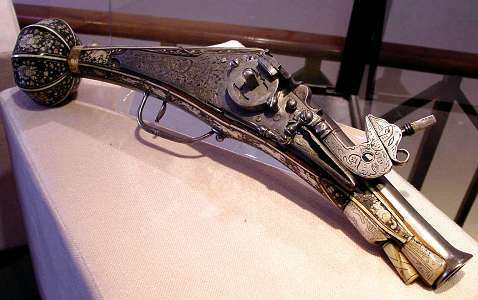 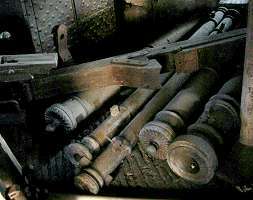 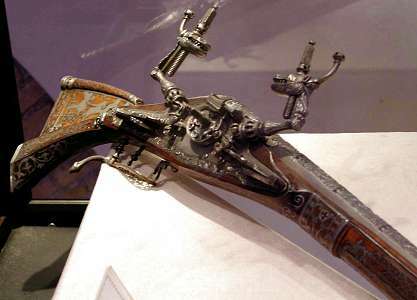 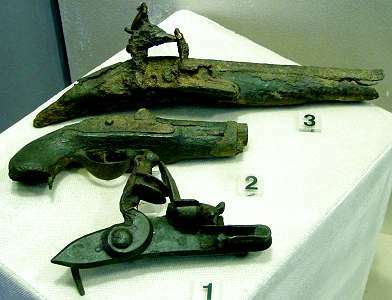 Excavated handgun remains, 17th century. 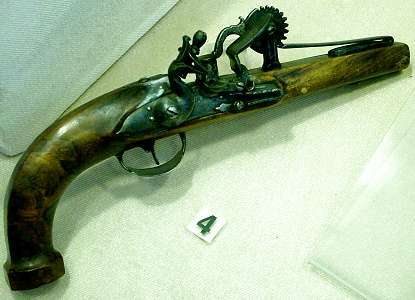 Provapolvere - powder tester, 18th century.